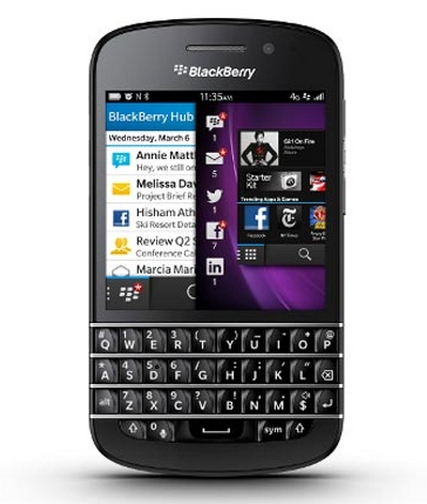 BlackBerry Q10 with QWERTY keyboard to launch in May or June in the US | BlackBerry Blast! BlackBerry 10 is off to a decent start with the Z10 launching in the UK and Canada. US users won't get the Z10 until March, but it's going to be an even longer wait for the Q10 with QWERTY keyboard. According to AP, BlackBerry CEO Thorsten Heins has confirmed that the Q10 will be released about 8-10 weeks after the Z10 in the US. That puts us into May or June for the Q10 release. Are you waiting for the Q10 or going ahead with the Z10? BlackBerry has historically made the best tactile keyboard in the mobile industry. The Q10 should be good!